In 1998 Ken received an Award of Excellence from Volunteer Lawyers of the Artists representing pro bono low-income artists in trademark, copyright & entertainment matters. Kenneth Spole received from CCNY his B.M.E in electrical and mechanical engineering in 1953. In 1956 he earned a graduate training degree from Allis-Chalmers Mfg. Co. in electrical equipment product development. After leaving Allis-Chalmers in 1962 he formed an engineering corporation specializing in electrical power equipment sales. In 1993 he sold the business and went on to CUNY Law School earning his JD in 1996. In 1997 he passed the NY, NJ & US patent bar becoming a licensed patent attorney. In 1998 Ken received an Award of Excellence from Volunteer Lawyers of the Artists representing pro bono low-income artists in trademark, copyright & entertainment matters. 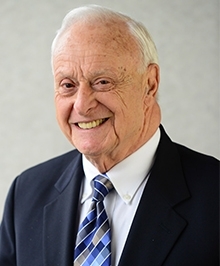 In 1999 Ken joined the family of attorneys at Feldman, Kramer & Monaco, PC. He specializes in trademark, copyrights, patents, entertainment law, business corporate law, contracts and related legal matters.